Cousin Jack, Leaving Clues--To the Diamonds' Previous Hometown? 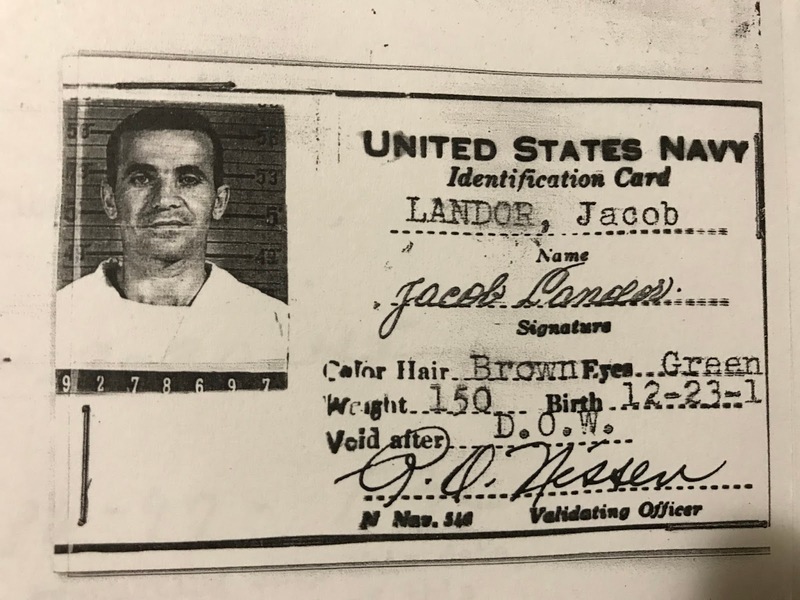 Well, the latest documents I discovered about Cousin Jack show the importance of researching relatives of your ancestors rather than just your direct ancestors. (And this isn't just because Cousin Jack lived such a crazy life.) Jack's paper trail may have directed me to where my Diamond family lived before Biscupice (now Berezhanka)! I recently received Jack's service file from his time in the United States Navy. Last week, I wrote about my great-great grandfather's half brother Hirsch Tolchinsky's family who had stayed in the Russian Empire, while my great-great grandfather and his family emigrated to America. 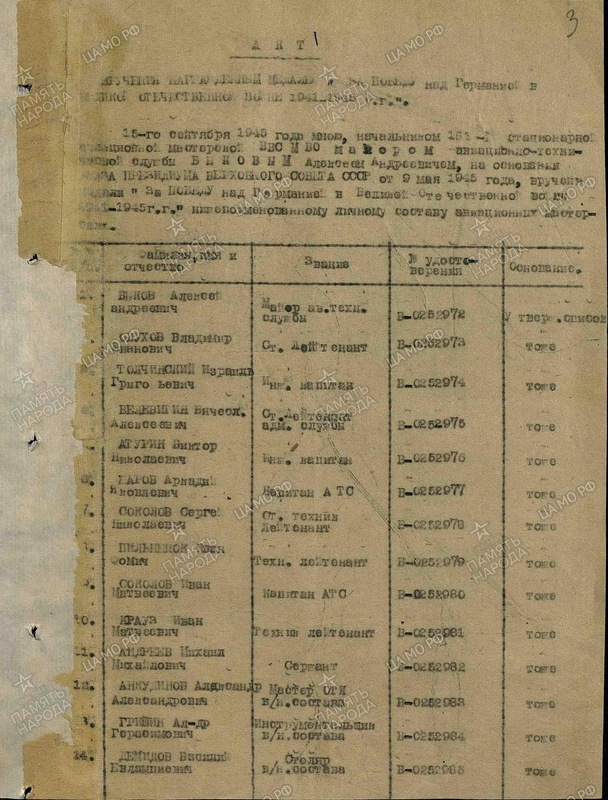 That post discussed a tribunal held for Hirsch's son Vissarion/Israel-Isser (in which Hirsch was referred to as Grigory) in 1922--whose verdict looked like it spelled disaster for the Tolchinsky family. But Eugene Krasnov commented on my Google Plus account to let me know that it was not the last we would hear of the Tolchinsky family--or of Vissarion/Israel-Isser. 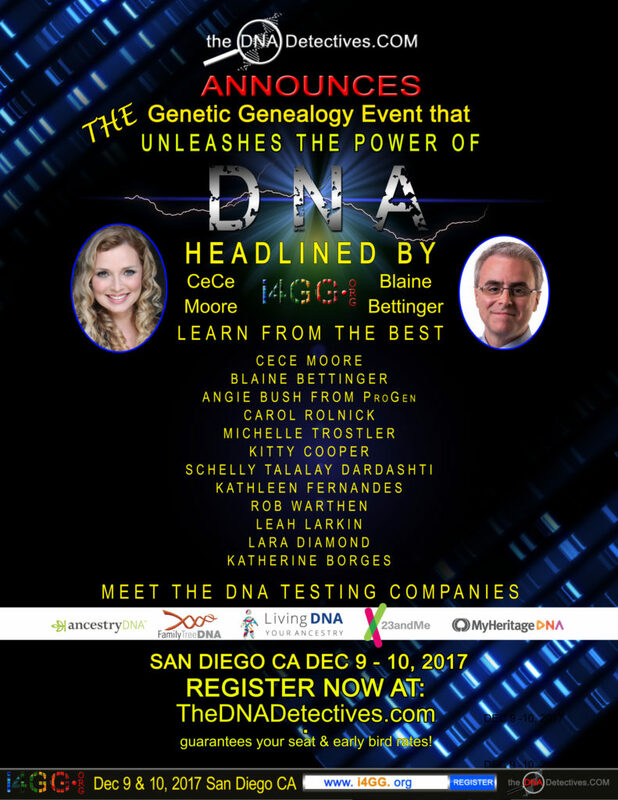 Genetic Genealogy in San Diego--i4GG! I live in Maryland. And it gets cold here in December. So why not go to....San Diego? Yes, I'll be speaking at this year's I4GG--the all genetic genealogy conference! My great-great grandfather Hillel had a half brother named Hirsch. I discuss his family and some of the documentation I have on him here. While Hillel came to America with his family in the first decade of the twentieth century, Hirsch and his children stayed in what was then the Russian Empire. They had very different fates--and I now have a set of documents that give a bit of insight into the hardships that Hirsch's family underwent as the Russian Empire became part of the Soviet Union. I'll be speaking about my trip to Ukraine next Sunday (October 15, 2017) in Rockville, Maryland. If you're in the Maryland/DC area, please come! The talk is sponsored by the Jewish Genealogy Society of Greater Washington (JGSMD) and is free for members, $5 for non-members. Tonight starts the 75th yahrtzeit (anniversary of death) of those killed during of the destruction of the ghetto in Sienkiewiczówka, Poland (now Senkevychivka, Ukraine). Among those murdered were three of my great grandparents (Avraham Tzvi Diamond, Tzivia Zutelman Diamond and Avraham Bajcz), a great-great grandfather (Moshe Dovid Fine), a great aunt (Malia Bajcz) and great uncle (Shlomo Diamond). 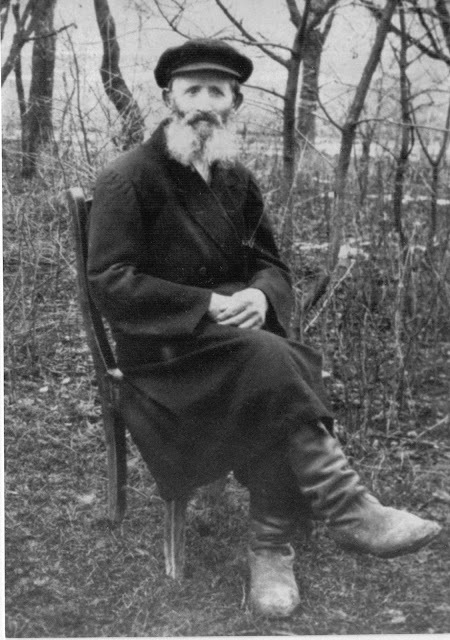 My great-great grandfather, Moshe Dovid Fine. Murdered 75 years ago today. Enough of my relatives with known relationships have taken DNA test so that I'm able to attribute the vast majority of my genome to specific ancestors. (If you're a relative of mine reading this, talk to me about how you can test and be included in future posts like this one and help fill in the gaps!) Thanks to Kitty Cooper and her Chromosome Mapper tool for automating much of this! Which Segments from Which Ancestor(s)? So whose DNA helped me to make sense of this?